Here are links about the past history of the existing Orange line, when it was on the old granite embankments that held the New Haven tracks. There are five stories. Saying those articles are about the Orange Line's past is very misleading, as the only connection the Orange Line has to anything in them is that it was a major factor in the abandonment of most of those stations 20 years later. Dude you may be right, it might not be the best title. But I know the original Orange el.I rode it to school , I drank under it in joints , and I worked under it. I thought there might be an interest in the articles I found to someone, as the present Orange line is somewhat proximate to the rails in the articles. What I get is a malcontent who wants to play Mother Superior, have a nice day! In the fifth story it says, "As has already been published, the tracks to be devoted to suburban serivce will be fitted with a third rail, similar to that now used on the South Shore branch, and electricity will be utilized as the motive power. " So, does that mean in 1896 that there was third-rail powered rail service to the South shore? Yeah; it didn't last very long, but what's now the Greenbush Line I think as far as Cohasset (and possibly the Nantasket Beach Branch?) was powered with a third rail in the center of the tracks... from what I understand, however, this was before multiple-unit operation, so running across switches and such was considered too complicated and the experimental system was never expanded. Yes. The Nastasket Beach Branch from Nantasket Junction to Hull was electrified with a center third rail after 1895. The Greenbush Line was was electrified from East Weymouth to Cohasset but it was discontinued due to safety reasons (likely grade crossings) after 1902. They were big, open cars with a third rail right in the middle of the gauge - just like Lionel ! The live third rail went right along with the outside rails, through crossings, etc., and if my memory is correct, I believe that I recall reading about accounts of persons being electrocuted fairly often. Paul Joyce passed away in August, 2013. We honor his memory and his devotion at railroad.net. 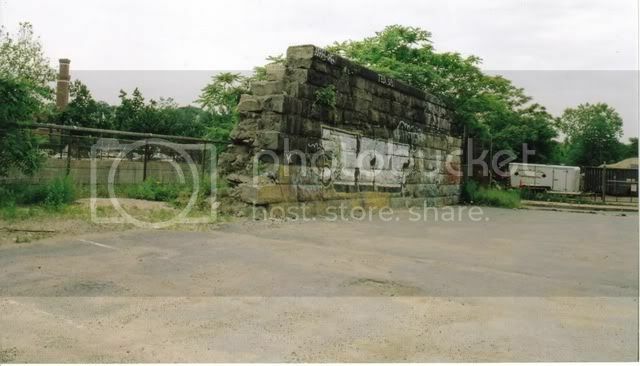 Teamdriver wrote: Here are links about the past history of the existing Orange line, when it was on the old granite embankments that held the New Haven tracks. There are five stories. That's my blog. Definitely not the Orange Line, but it was the precursor of the Orange Line, with local service and stations through Jamaica Plain matching the later Forest Hills elevated stops. 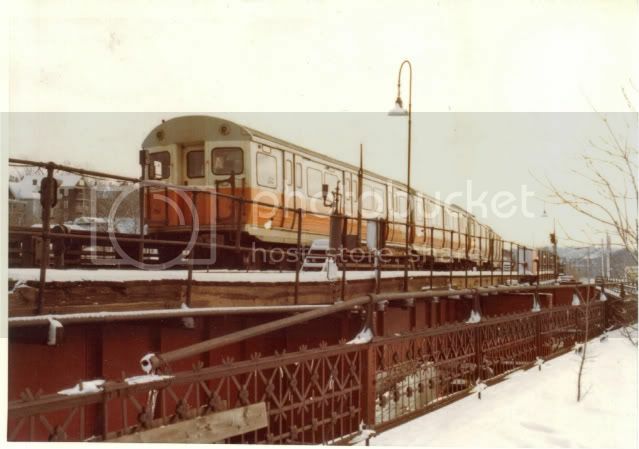 MBTA3247 wrote: Saying those articles are about the Orange Line's past is very misleading, as the only connection the Orange Line has to anything in them is that it was a major factor in the abandonment of most of those stations 20 years later. 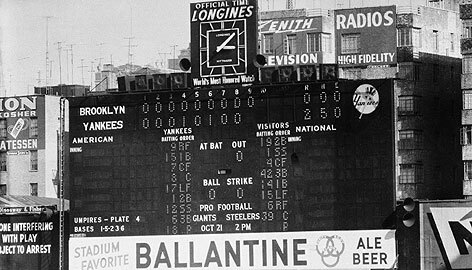 MarkB wrote: That's my blog. Definitely not the Orange Line, but it was the precursor of the Orange Line, with local service and stations through Jamaica Plain matching the later Forest Hills elevated stops. Exactly, Mark. And why I do not believe that Teamdriver's title was in any way misleading as the "Orange Line Past", meaning pre-existing in close proximity and obviously having a strong influence on the El. My photo shows just how close they were at some locations. Mark - Do you still have questions re: Galvin's Field, Muskrat Village, Franklin Place or Brookway Terrace ? Send me your blog or personal email address with your question(s). Cudos to a great blog ! Paul Joyce - formerly of 3882 Washington St. next to the Tollgate Bridge aka Muskrat Village. What happened to those stations? Did any of the buildings last until the Southwest Corridor trench was built in the 1980s? I walked the line, camera in hand, just before the end of service. But though I found the pickle factory near Roxbury Crossing interesting, I didn't photograph it. Did anyone else reading this thread do so? When the weather gets colder I'll get back to scanning my old slides and may have something worth putting on the net.